Rae, sweetie that she is, put together a sneak peek shoot for a bunch of merchandise that’s up for grabs at the next Mighty Swell sale. Many thanks to Jamie Otto and Emily Tetens for rocking the crap out of these clothes. Vintage gold beaded tunic top, $28. Perf for the holidays! 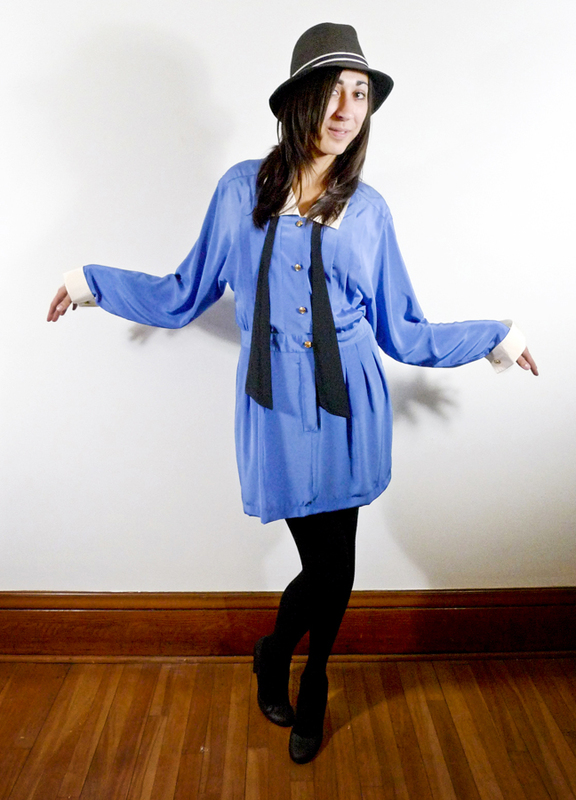 Silky blue secretary dress with neck tie & gold buttons , $26. Lovin’ the cuffs on this little dress, too. Satin and plaid dress, $25. Warm and comfortable for holiday parties, with a super flattering cut. 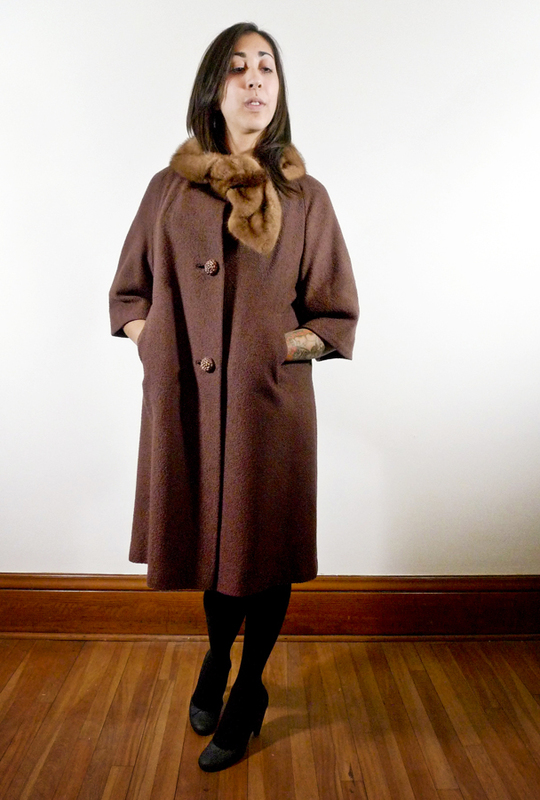 Just one of the maaaany ’50s/’60s coats we’ll have for sale. I’m in love with the fur detailing on this one, and the muted mocha color. One-shouldered razzle-dazzle dress, $28. Sequins rule…that is all. Classic brown & white gingham shirt dress, $24. Got to love the nice tailoring on this, and how wearable it is practically year-round. For even more sneak peeks, click here. This entry was posted in Uncategorized and tagged mighty swell, pop-up shop, rae danneman, sneak peeks, vintage by highplainsthrifter. Bookmark the permalink. That is a lovely coat. It looks like there will be some great things in the shop. so stoked for the sale, and thanks for the blog comments! i am pretty sure i need that gold beaded tunic! So in love with that sequin dress. I wish I could be there!